Who’s ready to have an Incredible Summer?! One thing I love about Disney World is there is always something new. It’s the one thing you can count on. It keeps us frequent visitors coming back to try new things and keeps vacationers wanting to visit again and try the newest offerings. This summer there is something new at all of Disney World’s four parks. Magic Kingdom is featuring a celebration of superheroes in Tomorrowland, Animal Kingdom has Donald’s celebration in Dino Land, Epcot is preparing for its Guardians of the Galaxy attraction by having a concert featuring them, and Hollywood Studios has the biggest new thing with Toy Story Land opening at the end of June. Let’s take each thing by location and I will update this post as each of these new things debuts. The superheroes have decided to hold an expo celebrating all the super talents in each of us. This is also to get us excited for the new Incredibles 2 which is sure to be a huge hit movie for Disney this summer. So the concept behind this event is that there’s a superhero convention happening and people attend to see some of their favorite supers. Mr. & Mrs. Incredible, Frozone and Edna Modes being among them, as well as some new ones we’ve never seen before. It’s basically like a Comicon happening in the Incredibles universe. Yeah. That’s pretty cool, right? I mean, as someone who loves to go to any fan convention, I am totally on-board for this concept. The not to-be-missed highlights are the roving super fans (if you like Streetmosphere performers you’ll love them!) and the Stretchy Cheeseburger. Here’s all the details. There’s tons of new decor all over Tomorrowland representing this special event. Even the food carts have been themed for it. It makes the overall vibe festive and fun. You’ll also notice the area music is completely different with a mix of music from the Incredibles, and special “announcements” related to the expo attendees and activities. Dance Party 2-7pm: The activity centers around the dance party on the Tomorrowland stage featuring Mr. & Mrs. Incredible, Frozone and Edna Mode who all make appearances. This is Edna’s first ever appearance at Walt Disney World so fans were especially excited to see her. The dance party is cute, but not that unlike the party we used to have in this location for many years except it’s a bit more scripted, and they don’t really spend much time out in the crowd dancing. This may change, as I noticed at first they did and were bombarded with people trying to take selfies with them, which isn’t what they want. They want people to dance and interact and not end up with a meet and greet photo kind of situation. To watch the entire thing from beginning to end takes about an hour. Interspersed with the Incredibles stars you’ll have dance tunes and appearances from other up and coming supers in a sort of, “America’s Got Talent” style show. Again, this is all part of the expo concept in highlighting new supers and their abilities. So overall cute, and worth a swing by to see who’s out. The young kids in particular are the real stars of any dance party, and while we adults may be underwhelmed with them, they’re great for giving younger kids a chance to burn off some energy from being cooped up in strollers and waiting in lines all day. Jack Jack’s Diaper Dash 12 noon: an idea from Disney Cruise Lines, babies who are of crawling age can sign up starting at 10:30 am and the actual event takes place at 12pm in front of the Tomorrowland stage. If you want to make sure and participate, plan on stopping by around 10:30 and looking for this sign below, and then you can leave and return for the event at noon. Babies are given a number sticker on their backs and tempted to crawl to another familiar face on the finish line. It’s all in good fun, and all the babies are given a special bib for participating. Super Super Fans 10-6:30: There are also other performers who are portraying Expo “attendees” walking around the land in their favorite superhero cosplays. They are out walking around Tomorrowland most of the day. If you happen to see them, please stop and talk. They are brilliant. (Rumor is some are veterans of the old Adventurers Club!) They have been my favorite part of this event. Photo Ops: There are four different photo backgrounds scattered around the land, each comes with a fun Incredibles magic shot video as well. There’s one near the entrance to Space Mountain, one near the stage, one right in front of the Tomorrowland Speedway, and the last one is near the bathrooms on your way to Cosmic Rays. Themed food: I got a chance to try several of the special things offered. First off, the superhero pretzel from the Launching Pad was seriously delicious– it comes with cheese dipping sauce. But, I mean, you really can’t go wrong with a giant soft pretzel. Find it at the Lunching Pad ( the center food place right underneath the Astro Orbiter). Next up is Edna Mode’s “No Capes, Just Crepes”. This is a crepe sundae with two different flavor options, Nutella and Blackberry-Lavender Jam. They come topped with an Edna icon in white chocolate. I tried the Nutella ones and while they were good, unless you really want to try them because their new, (or for the photo op) I think there’s much tastier treats to be had at Magic Kingdom. Find this at Auntie Gravity’s for $6. And now the real star of the new Tomorrowland Expo food: Mrs. Incredibles Super Stretchy Bacon Burger. This is an Angus burger piled high with deep fried mozzarella sticks, cheese, bacon, and garlic ranch sauce and seared with the Incredibles logo on the bun. It may a heartache on a plate, but it’s so good you may not care. Just look at this strettttccchhh. While it’s a little more expensive than other burgers at $15, it’s so large that it could easily be shared as it also comes piled with fries. Plus if you’re on the dining plan this would be a fantastic option to get a lot for your credits. It’s available at Cosmic Ray’s. There’s also a whole new line of Merchandise for the Incredibles. I loved the Edna Plush! Here’s a look at the guide map. Enlarge on your screen and take a screenshot if you want to save this for future planning. This is all centered around Dino Land, and consists of lots of fun decorations, upbeat party music playing around the land, and character meet and greets with lots of new friends. First off, if you’re a 90’s Disney cartoon fan, you’re gonna love the nostalgia this event will give you. I mean, who remembers Ducktales (woo-hoo!)? I got way too excited meeting Launchpad! The director of the show mentioned wanting to bring in some of the lost elements of Camp Minnie and Mickey that used to be in Animal Kingdom. I think they’ve done just that. It’s a fun party vibe with tons of characters all over the place to meet, making for shorter waits than usual and lots of fun character interactions to be had. Personally I am all for adding more characters to the parks. Don’t miss Chip and Dale in the adorable Dino costumes too. Donald’s Dance Party: happens daily from 4-8pm near the main shop area in Dino Land. Food: This super cute Donald cupcake is for the event at Restaurantosaurus. (I’m never completely sure if I’m spelling that place right but spellcheck is no help. Oh well.) It’s 5.99 and available on mobile order too. I know there was some skeptics with this show, but I gotta tell ya- I loved it! It’s a show that doesn’t take itself too seriously, and I mean, it’s Starlord and Gamora in the middle of Epcot. You really can’t take it seriously. And that’s just fine. It’s cheesy fun delivered in the spirit of the movies. Starlord and Gamora are spot on, but the real talent is the musicians that perform and sing the songs live. The music is great! Hooked on a Feeling, ABC, Hit Me With Your Best Shot, all guaranteed to make you bop your head along with the music. You can check out a video clip over on my Facebook page here. If you don’t have fun at this show, then there’s not much hope for you. You can see Awesome Playlist Live every day thru August 19th at the America Gardens Theater in World Showcase. Starting June 21 2018, the water park will host a new Disney H20 Glow party nights. The water park will transform on select evenings June 21-Aug. 11, when a glow party takes over the park from 8pm – 11pm. Tickets go sale March 19 and are $55 per person plus tax for adults and $50 per person plus tax for children ages 3-9. For more information and to purchase tickets call (407) 939-1872. No doubt the most anticipated of all the new Summer offerings. It opens on June 30th. Please see my master article with everything we know so far about this new land: Planning to Visit Toy Story Land. In addition to those new things specific to Summer of 2018, here’s some other information you’ll want to check out. Summer can be crowded at Disney World, and that means you’ll need to be prepared. Check out 11 Tips For Visiting Disney World When It’s Crowded for my best advice on having a great vacation. Also, Summer gets pretty hot. 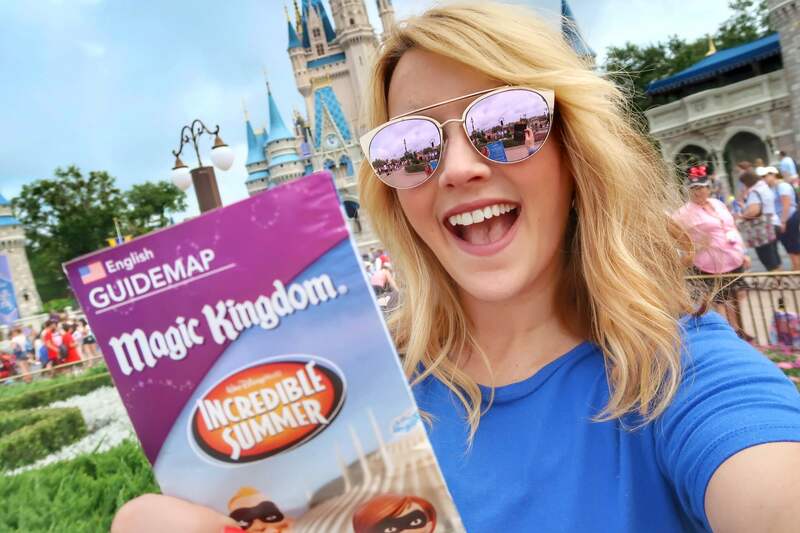 Here’s my best ways to deal with the heat: Your Disney World Summer Survival Guide. If you aren’t sure exactly when you want to visit Disney, then check this one out: The Best Times to Visit Disney World. And if you’re not already, follow me on Instagram for real-time updates on my stories whenever I’m in the parks!